Info: Created on 13th October 2010 . Last edited on 14th October 2010. Nice interpretation. Is the y suppose to have a square edge peaking out. Also do you think the z would look better if the the top right, and bottom left quarter circles were flipped vertically? Good job. A difficult task is to sort these glyphs, but that is where the magic starts at FS. 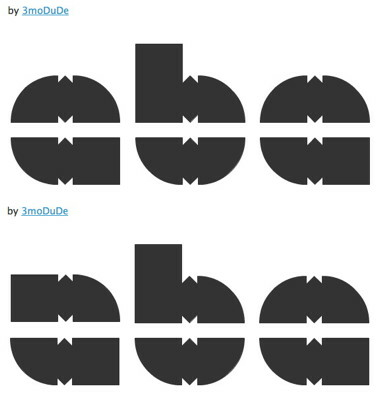 As your "a" and your "e" appear the same, you could rotate the top of the "a" to make it different, I've tried in the sample that I add, I hope you find useful this idea. Still in the font, please, it's a very attractive font. ...And being the "z" as suggested djnippa, of course. @dj, elmo: Ahah! Thanks for pointing out some small errors. a and z have been changed, and the bottom-right corner of g and y don't peek (peak?) out any more.